The recent rain caused flooding around the Alabama Street underpass. Several hundred feet of the trail are under up to 2 feet of water. Do not enter the flooded section! 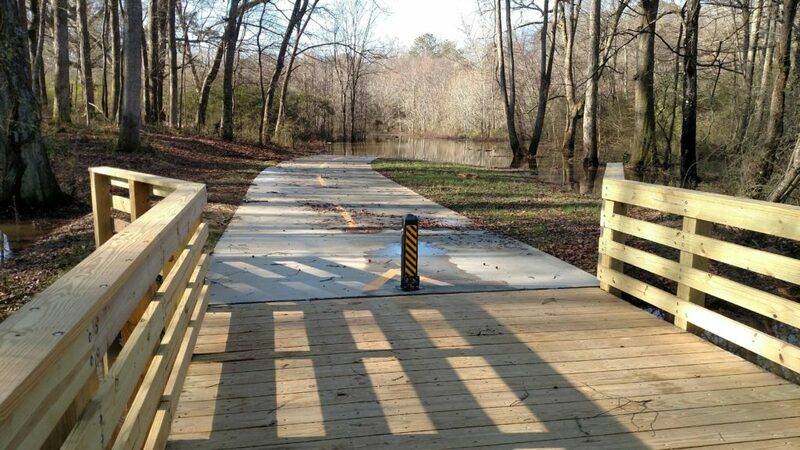 It will take several days for the water to recede, please use caution using the Carrollton GreenBelt. Please be aware that there are puddles of water throughout the length of the trail. The boardwalks are slippery when wet. 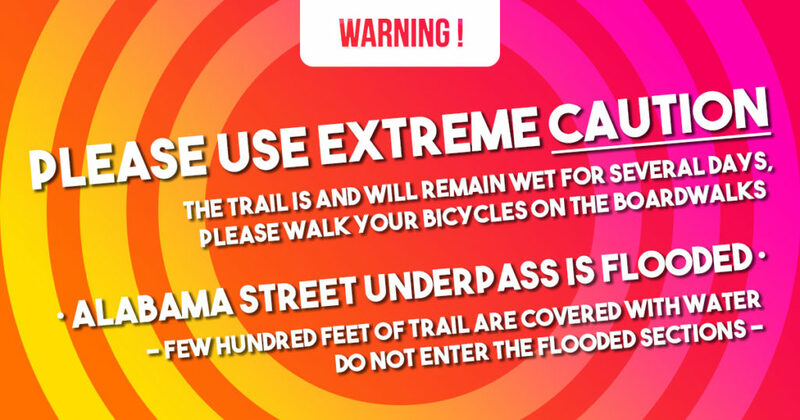 We ask everyone to dismount and walk their bicycles on wet boardwalk. The rain and wind brought down a lot of branches – please help keeping the trail clean and move small branches aside. You can email us to report bigger limbs or damage to the trail.